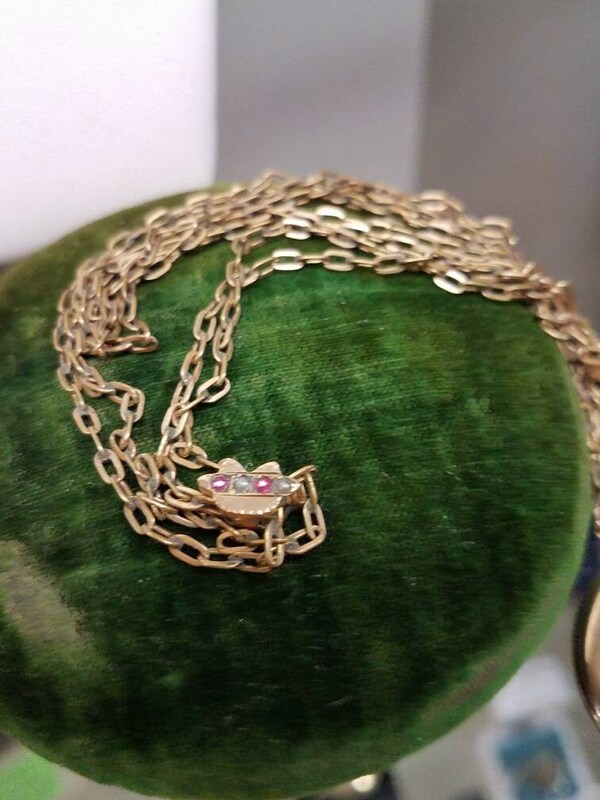 This Victorian necklace is goldfill, with a goldfill locket and a goldfill watch chain. 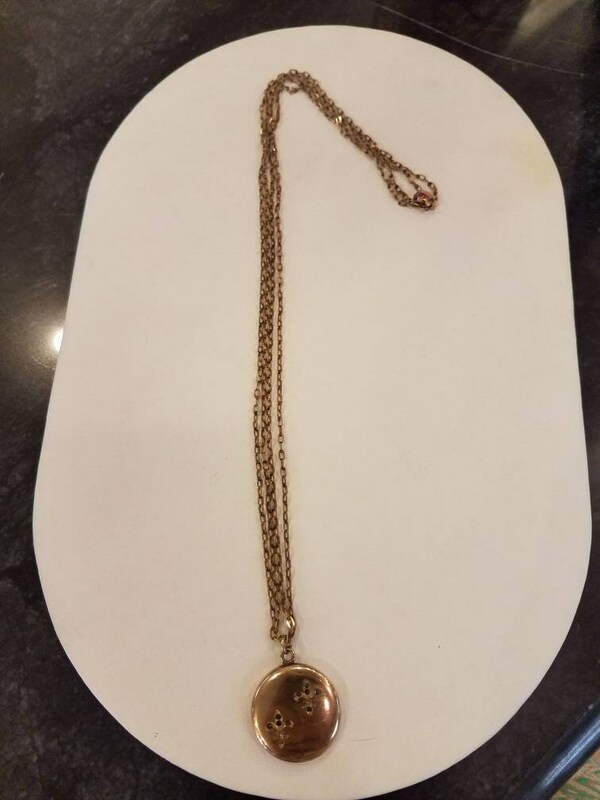 The slide on the watch chain is 10K yellow gold. 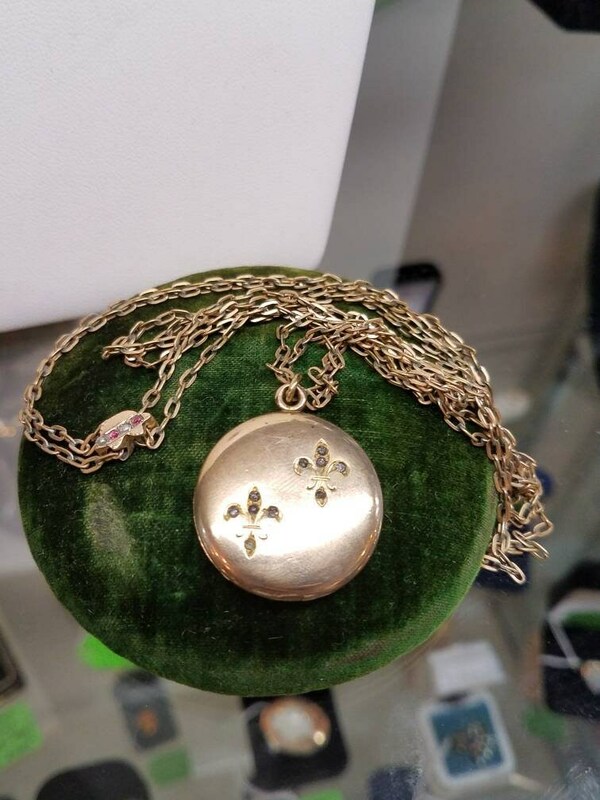 One side of the locket features two fleur de lis, and the other shows some initials. 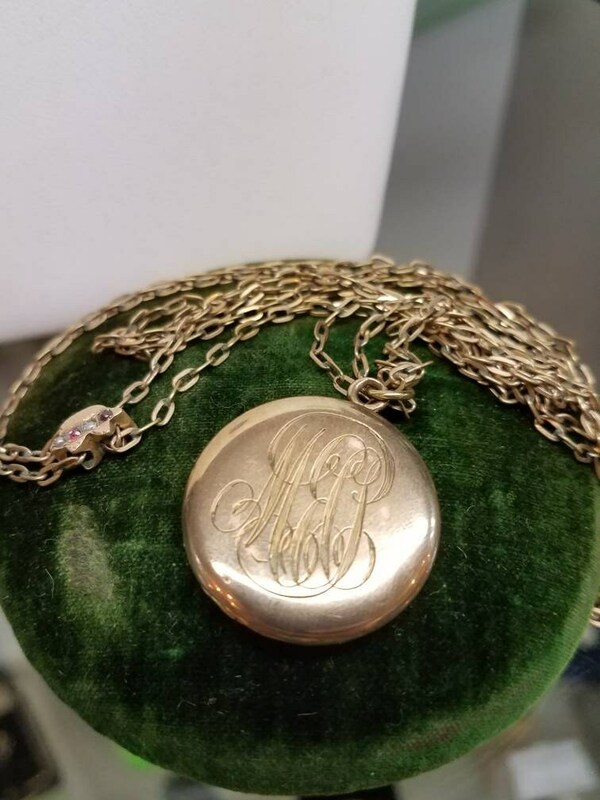 (The initials may be "MEC"). 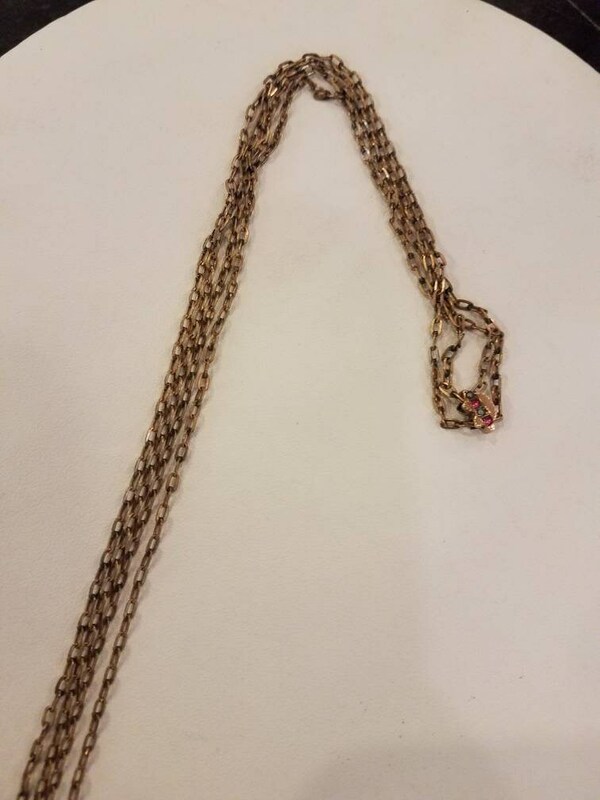 The chain is 24" in length. 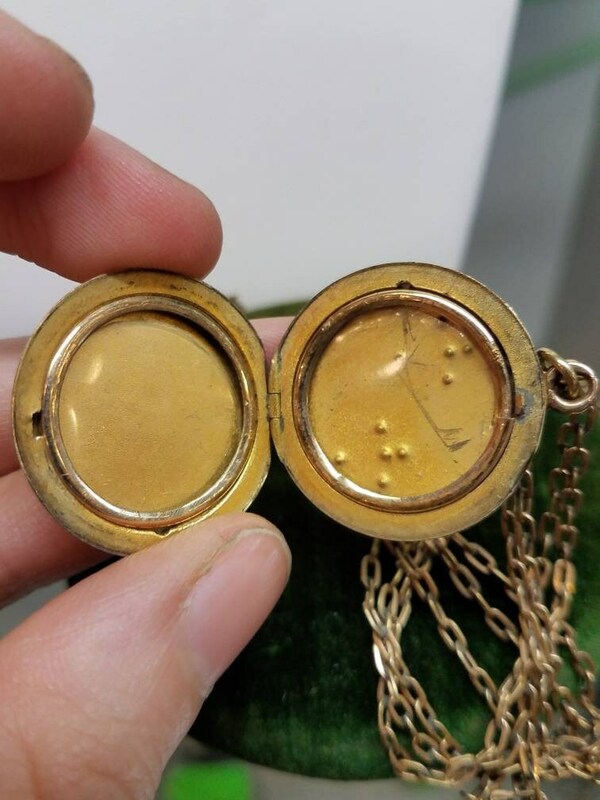 Please note that the locket catch does not always keep it closed.